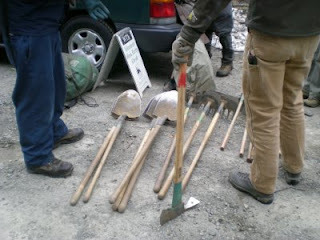 Ryan and I signed up to do trail work with the WTA (Washington Trail Association) for Earth Day this year. This was my first time ever doing anything like this!! I don't even do yard work, don't have a yard. :-) Gardening....nope. So wielding a shovel and/or an adz would be a new experience for me. 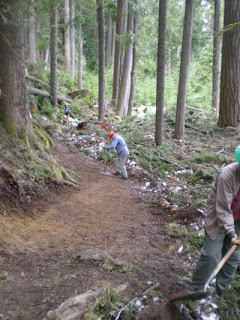 I do the hike-a-thon for the WTA every August to raise money to help out the trails in Washington State, but I have never actually gotten my hands dirty doing the work. So Earth Day seemed like the perfect time to get outside and give back! 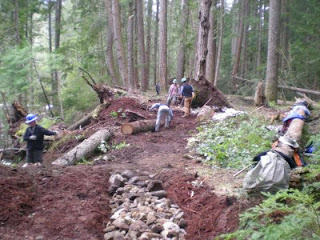 We signed up to do work on the Skookum Flats Trail near Greenwater, WA. This trail is used by mountain bikers and hikers. We drove up early in the morning in order to be at the trailhead by 8:30 am. 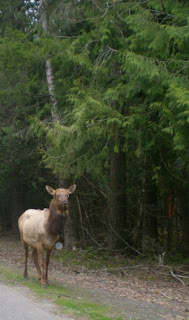 On the way through Greenwater, WA we saw an Elk by the side of the road. This is common in places like Yellowstone, but I am not used to seeing Elk wandering around in Washington! 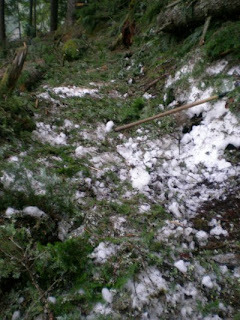 My first job on the Skookum Flats Trail was to clear it of storm debris and reduce the grade in a section very near the trailhead. 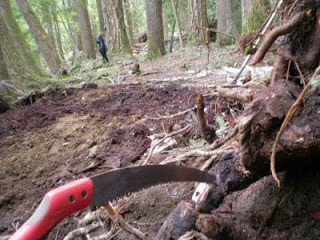 Then I went to another area to clear a place where a tree had fallen. 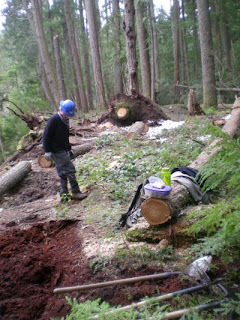 The day before, guys with chainsaws had come through and broken up the tree into pieces, but we still had to reroute the trail around a huge rootball. 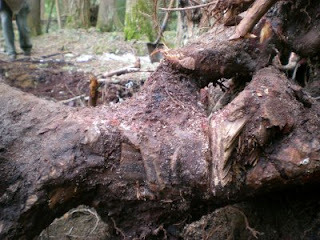 I dug out beautybark...sawed off part of a root and worked on tread... I have many before and after photos here...We had a great day doing trail work and we will definitely be back out here again in the future! 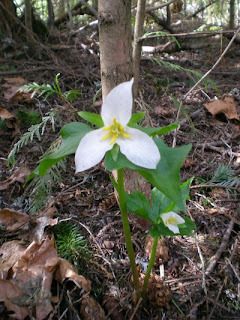 On the way home away from Greenwater I took this photo of a lovely Trillium.